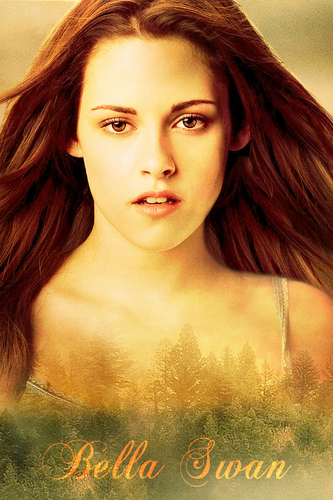 New Moon Posters!. . HD Wallpaper and background images in the টুইলাইট সিরিজ club tagged: new moon bella edward kristen stewart robert pattinson cullen. This টুইলাইট সিরিজ photo contains প্রতিকৃতি, ধনু, and চতুর. There might also be ত্বক, skintone, নগ্ন রঙ্গিন, আংশিক নগ্নতা, and উহ্য নগ্নতা. i would be nicer if her mouth were close !! !